Of all the spaces in our domestic abodes, it is the bedroom that we really ought to give the most attention to. So why is it that we all too frequently neglect this ultra-crucial intimate space over the other more public and social areas of our homes? Sure, it's nice to have well appointed and welcoming lounge, living and entertainment areas, but we mustn't forget that, ultimately, we're number one, and we shouldn't ever diminish our own personal needs! Given that we sleep an average of eight hours a night, it's the unavoidable truth that we spend a good third of our lives in our bedrooms (to say nothing of all that additional time we spend in there when we're awake). In this regard, it's not only desirable to have a well appointed, beautifully designed bedroom, it's an absolute life necessity. Today on homify, we're prioritising our intimate space above all else, with a look at a few fabulously designed bedroom interiors: here are some excellent tips and tricks on how to turn your own bedroom into something effortlessly cosy, warm and brilliant. If a person's home is their castle, then their bedroom ought to be their oasis: read on, take a wander through, and get inspired about how to transform your bedroom into a glorious, relaxing oasis too. When it comes to transforming your bedroom into a holistic oasis of comfort and relaxation, there's no wiser place to begin than the bed. Given that the entire bedroom revolves around this item of furniture, it's crucial that we choose the right bed for our needs: something sturdy, comfortable and inviting, and one that looks the part just as well. With the right bed selection, your nights will be full of restful slumber, bringing you nothing but healthy, happy, and harmonious waking hours. Here, we see a fabulous example of a very well-selected bed, and a beautiful bedroom décor to match: robust, cosy and ultra-inviting—a great size, with addition seating area at the bed end, a sturdy bedhead with feature floral motif to induce additional comfort and relaxation, as well as an ample array of linen, comforters and blankets. With the bed in place, you can feel free to work with additional furnishings and accessories, like these fabulous lanterns at either side of the bed, as well as the window-side couch area, and brilliant, fresh blue country-style bedside tables. Choosing the right bed, and making the most of the space around it, can be a rather challenging task to get right. If you're vacillating about options, choices and the best way to go with your bedroom design, why not gain a few wise tips and words of advice from an interior design professional? 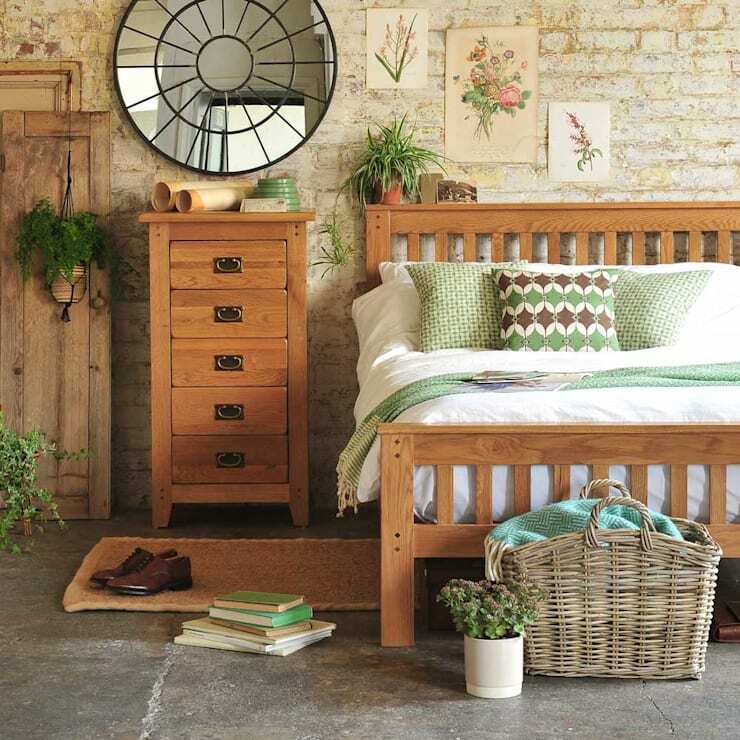 Once you've selected your bed, there are a range of fabulous additions and accessories you might like to consider too. Take this fabulous use of curtains here as a starting point. Curtains are a neat way to dress a window, especially the variety of sheer, classic white drapes such as the ones in this example. Yet curtains make for a versatile addition to the bedroom interior, and can be equally effective draped around the actual bed too. Here, we see how a basic, sturdy and ultra-inviting bed is transformed into a total haven of comfort with the addition of a wooden post apparatus, replete with sheer, romantic draw curtains. Drawn in the daytime, they provide an added sense of romantic allure, working delightfully with the natural light streaming in from the sliding window doors. Come the nighttime, the romanticism doubles, with a little sheer, palatial privacy, and a sense of additional comfort and containment as you slumber the night away. Lighting is one of the most crucial things to get right in any domestic space, but it's especially advantageous in the context of the boudoir. Even a modestly appointed bedroom interior can become a fabulously relaxing oasis with a thoughtful use of light—especially natural light. Here, we see a fabulous example of how it's done: a fantastic bed, with open plan shower and bathroom set up, bathed in the glorious, full natural light of retractable feature windows that harness this outdoor patio area with class and elegance. Very impressive! As well as a great bed, some neat accessories and attention to lighting, the proper use of colour is one of the most effortless and instantaneous ways to transform a bedroom space into something delightfully relaxing. Depending on your stylistic tendencies, choose colours that resonate with you and bring a sense of calm. White and cream tones are a great choice: versatile, classically attractive, and stunning when matched with a strong burst of natural light. Indeed, light tones are perhaps the best for invoking an instant sense of relaxation and rest. Sometimes, to make our bedrooms spaces feel amazing, we need to look beyond the tried and true material additions: often, all we need to do to brighten up a space is by bringing a little of the natural world inside with us. Plants, including hangers, pots and floral vases, can be a wonderful addition to any room in the house, but especially the bedroom. In our busy city lives, we simply can't get enough of the natural world, so it's a good idea to harness it and cultivate it in the intimate privacy of our own domestic spaces. As well as looking aesthetically delightful, plants are great in that they also work to oxygenate a space and remove environmental impurities such as formaldehyde, and other pollutants, toxins and chemicals in the air. Naturally, you'll be in for an even deeper and healthier night's sleep with a few lush, green additions like these ones here. We've mentioned the virtues of natural lighting, which is all well and good for the daytime: but what about nightfall? To create an equally, if not more romantic and cosy mood and vibe in your bedroom after dark, a well selected range of artificial lighting is an absolute must. 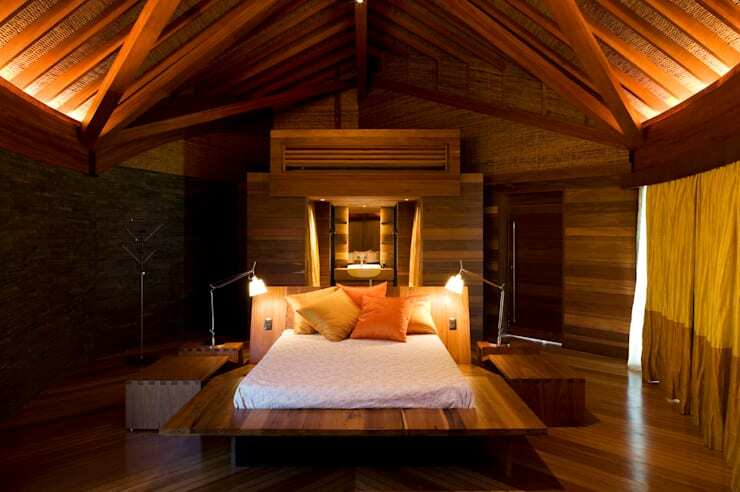 As we see here, the right selection of lighting can really enhance a bedroom space and turn it into something magical. Consider soft, indirect lighting, as well as modest direct lamps if you prefer to read in bed. Low wattage bulbs, and even Edison, or other creative feature bulbs, can be a neat additions for inducing a sense of profound relaxation and comfort too. Last but not least, let's not forget about the youngsters! What's relaxing and cosy for adults probably won't be the same for our young kids and teens, so it's important to consider their unique needs when creating a brilliant bedroom oasis. 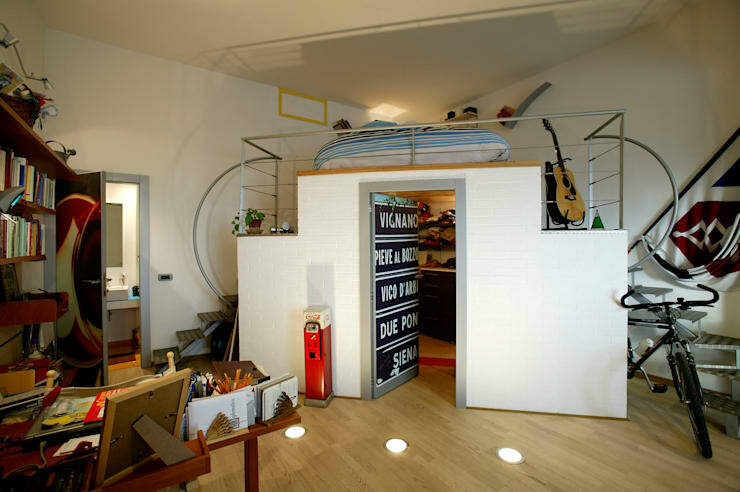 Here's a neat example of what's possible: a bright, inviting and ultra-unique multi-level space: the bed elevated on a mini-loft, replete with ample storage closet beneath, as well as feature dimmable lighting in the polished wood flooring for a superbly individualised touch. Did you enjoy that Ideabook? 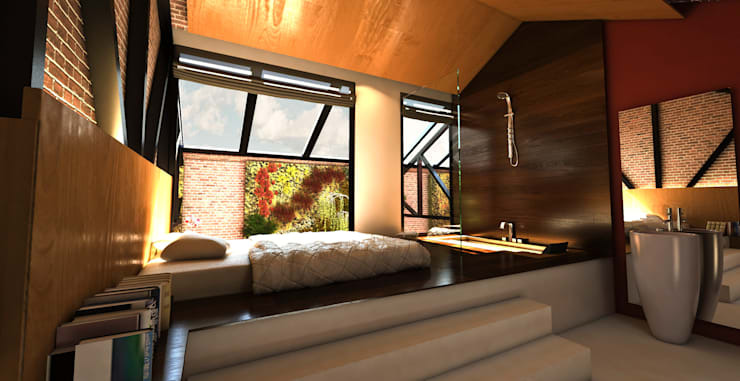 Why not keep the ideas flowing with a look at Feng shui in the bedroom? Do you have any other great bedroom tips for our readers? We’d love to hear from you in the comments section below!